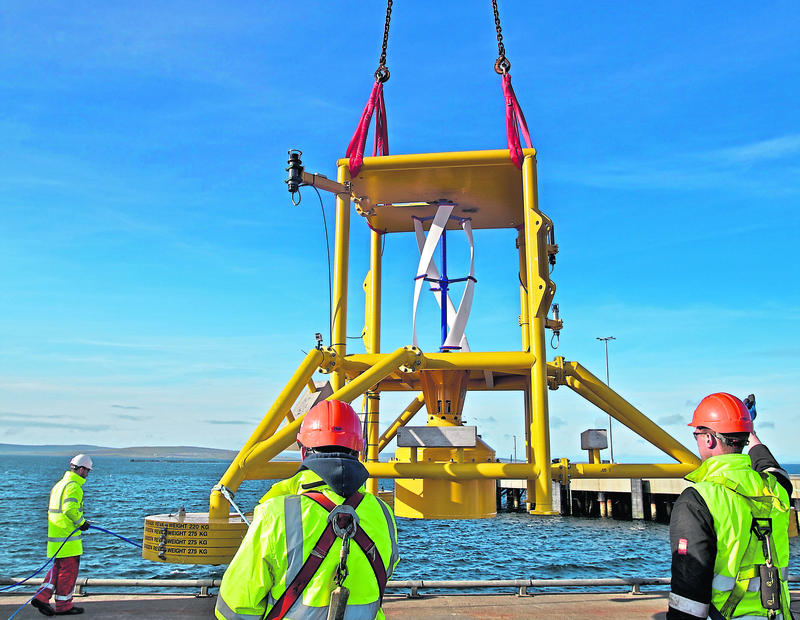 Bridge of Don firm EC-OG has developed a turbine seabed device at the European Marine Energy Centre (EMEC) in Orkney able to provide autonomous power to subsea infrastructure. Recent workshop trials, supported by the Oil and Gas Technology Centre (OGTC) and an unknown North Sea Operator, the Subsea Power Hub (SPH) was used to power a commercial Subsea Control Module (SCM) and local power distribution system. Operating the SCM using lithium ion battery technology, located within EC-OG’s energy hub, the test successfully confirmed the system’s capabilities for operating North Sea wells without a power umbilical from a topside installation. Paul Slorach, business development manager at EC-OG said: “This is a big step forward for EC-OG, to be able to have our energy storage system successfully provide power to a commercial SCM. “Demonstrating the capabilities of lithium-based batteries for powering subsea wells is a great achievement for us. EC-OG, based at Davidson House in Aberdeen Innovation Park, is currently looking for further investment to take the SPH to commercialisation. Winner of Subsea UK’s Best Small Business Award 2017, the firm also has a new workshop currently in construction at the Aberdeen Nevis Business Park that will become a facility for building future Subsea Power Hubs. Christopher Pearson, marginal developments solution centre manager at the OGTC said: “The industry is going through a transition to a lower carbon future and we must support the development of new energy integration technologies that meet the needs of this challenge. “EC-OG’s Subsea Power Hub (SPH) contributes to this industry change through its tidal turbine system, which can be used to unlock the huge potential in marginal developments by providing a primary energy source.